Youth Unlimited helps churches challenge youth to commit their lives to Jesus Christ and transform this world for Him. 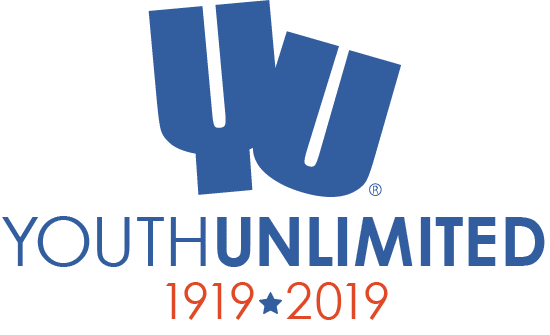 Youth Unlimited is a non-profit, non-denominational Christian ministry organization that focuses on assisting local congregations in their youth ministry through short-term mission trips and youth conferences. We strongly believe that the local church is the tool God created to use to reveal himself to the world. We know that taking the call of ministering to today’s youth is not for the faint of heart. Therefore, we are blessed by encouraging, supporting, equipping, and partnering with congregations across North America to reach this generation for Jesus Christ! The Bible is the inspired, infallible Word of God, and it serves as our rule for faith and life. God has revealed himself as Father, Son and Holy Spirit, and that in Jesus Christ all the fullness of the godhead dwells bodily. God created the heavens and the earth, and humankind was created in the image and likeness of God. Because of Adam’s sin humankind is separated from God and unable on its own to be reconciled to God. The sacrificial death and bodily resurrection of Jesus Christ has provided the only way of reconciliation with God, which is why we call him Savior. Jesus Christ was conceived by the Holy Spirit, born of the virgin Mary, lived a sinless life and now reigns at God’s right hand, which is why we call him Lord. Through Jesus’ redemption, all of creation can be claimed and restored through the Spirit. Therefore, we are ambassadors of Christ’s Kingdom in all of society. Salvation is God’s free gift based upon the atoning work of Christ, and this gift is affected by the regenerating work of the Holy Spirit in the hearts of people and received by faith in the Father, Son and Holy Spirit. Jesus Christ will come again to judge the living and the dead. The righteous-those who are justified by faith in Christ-will inherit eternal life, and the wicked-those who remain in their wickedness because they reject Christ-will be condemned eternally. We believe that the local church plays the central role in the fulfillment of the Great Commission and that the spiritual unity of believers comprises the one body of our Lord Jesus Christ. People who are apart from God matter to God, and therefore matter to the church. For this reason, it is the individual Christian’s and the church’s responsibility to proclaim the gospel in word and deed, by every means possible, through a life of holiness, service and love. GEMS Girls’ Club is a ministry for young girls. Calvinist Cadet Corps is the companion ministry for boys. The Esther School is a Christian day school in Nyangwena, Zambia. 1932 – American Federation of Reformed Young Women’s Society (AFYWS) was organized.